Logging in to Usenet for the first time can be overwhelming. With so many newsreader options, over 100,000 discussion groups, and all the features to automate your account, you might be left with more questions than answers. Our Usenet 101 series is dedicated to clearing up the confusion and clearly outlining everything you need to know about Newshosting and Usenet. Today’s topic: Usenet newsgroup basics. 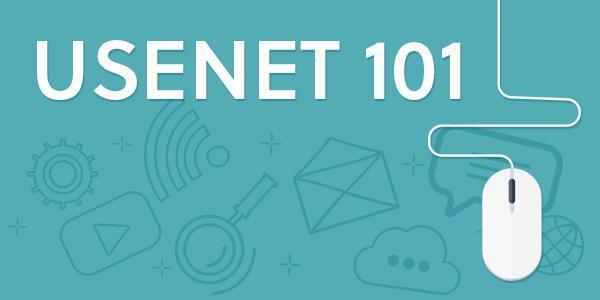 You can read our first Usenet 101: Usenet for Beginners here. A Usenet newsgroup is similar to a message board that can hold anything from discussion groups to shared, user-generated binary files. Newsgroups are generally public for all subscribers, but some are moderated or private altogether. Though the name is misleading, newsgroups don’t usually discuss news (though they certainly can). Messages within a newsgroup are known as articles, and are accessed using a software client known as a newsreader. Who can use a newsgroup? Usenet subscribers worldwide can access newsgroups. If a user can’t find a newsgroup they’re looking for within the hundreds of thousands available, a new newsgroup can be created. Unlike discussion boards, newsgroups are not heavily moderated by admins. If a user is interested in a particular topic, they can monitor that category’s newsgroup, read previously posted content, and even contribute to the discussion. The best way to get started with your favorite newsgroup is to sign up for a free trial of Newshosting. You can get started by creating a new Newshosting Usenet account here. How are Usenet newsgroups organized? Usenet newsgroups are easy to navigate thanks to an organizational system called a hierarchy. Each level of the hierarchy is labeled by a decimal system, for example, soc. would identify social issue discussions, and comp. indicates computer/technology groups. While there were only 8 original newsgroups, aka the ‘Big 8’, there are now over 100,000+ additional newsgroups in a variety of languages covering almost any topic you could think of. The description after the original newsgroup name provides more information about that particular newsgroup (i.e. alt.business.consulting would be related to…business consulting; rec.animals.wildlife covers, you got it, wildlife animals). How is information shared in newsgroups? Newsgroups use a standard called NNTP, or Network News Transfer Protocol. This is how news servers create, read and post articles by an end-user. There are a variety of 3rd-party newsreaders that can be used to access Usenet. NZB files are a quick, easy way to download user posts. As Usenet messages are typically divided into multiple files with small packets of information in each, an NZB client will download and translate the messages into what is known as a text or binary file. A text file is exactly what it sounds like. A binary file is the combination of characters that your selected client interprets into readable text, audio, a photo or video, depending on the selection. We’ll get into a more detailed discussion of newsreader clients including NZB downloaders, text readers, and binary posting clients in a future post. How long can I access a newsgroup with a Newshosting subscription? Unless a newsgroup is terminated by a moderator or closed for lack of use, it will exist on Usenet indefinitely. The content within the Usenet newsgroup, however, is only stored for a finite amount of time. This is because the servers hosting the information only have a certain amount of space. The amount of time a reader can access files on Usenet is known as retention. It’s important to pick a trusted Usenet provider like Newshosting that provides a large amount of retention (currently 2712 days, or 7.4 years, and counting!). The speed and amount of file storage from the Usenet provider’s server to the user’s computer. Depending on which plan you select, Newshosting offers from 50 GB with rollover to unlimited data transfer! The amount of time posts are accessible on Usenet. Newshosting currently offers 2712 days of retention, which increases daily! The ability to securely send and receive files. Newshosting provides free 256-bit encryption for all plans! How fast files can be transferred from Usenet servers to a user. While speeds will vary for individuals based on their ISP (Internet Service Provider), Newshosting Usenet provides unlimited speed on all plans. The number of simultaneous requests that can be made for newsgroup downloads and access. Newshosting provides up to 60 connections per user. If you’re a new Usenet user, odds are a bit of help will be needed to navigate the system. Our support team is available 24/7/365 to assist. We also provide video tutorials and FAQs if you prefer to navigate Usenet solo. Not all Usenet providers provide free trials, but we want to make sure you’re happy with our service. Try Newshosting for 14 days or 30 GB for free. In addition to a free trial and 256-bit encryption, our XL Powerpack subscribers have access to a free Easynews account for web browsing, free VPN to securely browse usenet, and unlimited data transfer and speed! Interested in learning more about Usenet? Submit your questions in the comments section and sign up for a free trial of Newshosting now!